Mohanlal is on a winning spree. After making an impressive comeback with Manamantha, the versatile actor has won the hearts with his performance in Janatha Garage. And continued the success streak with Manyam Puli. All eyes are on his latest offering Kanupapa, the Telugu dubbed film of his superhit Oppam. Since the film had been in news for all right reasons and marks the comeback of talented filmmaker Priyadarshan, expectations are good on Kanupapa. Blind but gifted Jayaram (Mohan Lal) works as a lift operator in a apartment. Krishnamurthy (Nedumdi Venu), a retired judge takes Jayaram to wherever he goes and Jayaram follows him without any questions. One fine day Krishnamurthy shares the secret about his school going daughter Nandini (Baby Meenakshi) and Vasudev (Samuthirakani) and the dangers surrounding them. Even before he could solve, Krishnamurthy was found dead in his flat. Polices suspects Jayaram. To unravel mystery in this film must watch the movie in theaters. Kanupapa is said to be gaining strength with positive mouth talk. The movie opened well with tough competition from Nenu Local. However both the movies received positive reviews. The dubbing was done well. Kudos to the producers who released the film in Telugu with sound technical aspects. All in all Mohan Lal is the one man army of Kanupapa. 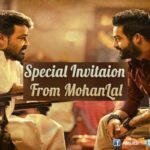 Mohan Lal: He impresses as a blind person who has the talent to identify people who passes by his side. Samuhirakhani: He is good as a villain but he did not get much dialogues. Baby Meenakshi: She done as Nandini, deserve special appreciation for her work. Vimala Raman and Anusree are OK in their roles. Others performed according to their roles. Music is just average. Songs are pretty ordinary and tunes resemble that of old films. Background score makes good impression elevating the film to new level. Cinematography beatified the scenic beauty in the film. Editing is OK and could have been better as the film is slow paced. Production values are apt. Despite shortcomings like slow pace and unnatural dialogue, his acting makes Priyadarshan’s Kanupapa a decent watch.